Home Windows, Cornelius, NC | G&S Contracting, Inc.
G&S Contracting, Inc. is the best place to go for all of your home window needs in Cornelius, NC. Home Windows in Cornelius – The old adage says that eyes are the windows to the soul, and much the same is true of home windows and their ability to determine the character and mood of the home they are a part of. The right home windows enhance the architecture of the home without drawing too much attention to themselves or being too ostentatious. Allowing the right amount of light into the home without putting extra demands on the heating or cooling systems requires those same home windows to keep heat either out or in, depending on the season. Home windows also allow you, as a homeowner, to make a statement. With the nearly endless options in styles and colors, windows can be customized to the home and increase overall property value. In addition, windows of various types can all work together, including combinations of picture windows, bay windows, garden windows, double-hung or three-sectional sliders, patio doors, and anywhere else your home can use glass to interface with the outside. Energy savings–Do you feel like you pay way too much to heat and cool your home? New windows help insulate your home so you don’t end up paying astronomical energy costs every month. Comfort–New windows keep your home quieter so you aren’t bombarded by sounds of your neighbor kids playing or traffic going by every day. Furniture protection–With new windows, you keep UV rays from damaging and fading your furniture and flooring. 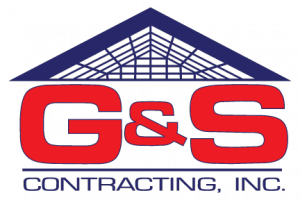 G&S Contracting, Inc. is the best place to go for all of your home window needs. We have 39 years of experience helping clients in Cornelius, NC and surrounding areas. We’re members of the local Chambers of Commerce and Better Business Bureau because we know it’s important to be a part of the communities we serve. We know that listening to our clients’ needs and wants helps us to better serve all of our customers, so let our experience, knowledge, and reliability help make the difference in your home windows today!